4k00:16Aerial shot. Group of people at the stadium doing exercises. 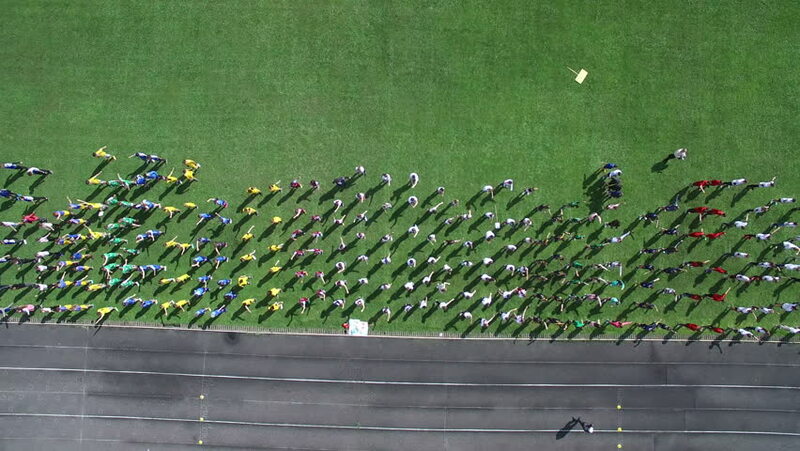 Sports warm-up from a height. The view from the top.